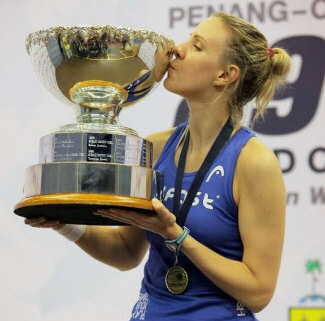 Laura Massaro is the new women’s World Champion after coming through a nailbiting final against Nour El Sherbini, the unseeded Egyptian world junior champion, in Penang. 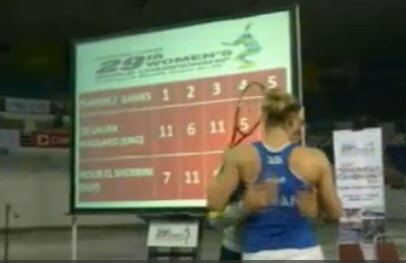 From 3-all in the first Massaro pulled away to take the lead, but Sherbini did the same in the second to level. The third went point for point to 9-all, but Massaro put in two crisp winners to retake the lead with a fistpump for good measure. Massaro continued the momentum to lead 3-0 in the fourth, but Sherbini struck back again, taking charge of the rallies and levelling 11/5. Sherbini was 4-0 up in a flash in the decider, then 6-2, but Massaro managed to slow the pace down, and clawed her way back into contention, levelling at 6-all. It was tense now, and the rallies lengthened. 7-all, 8-all. 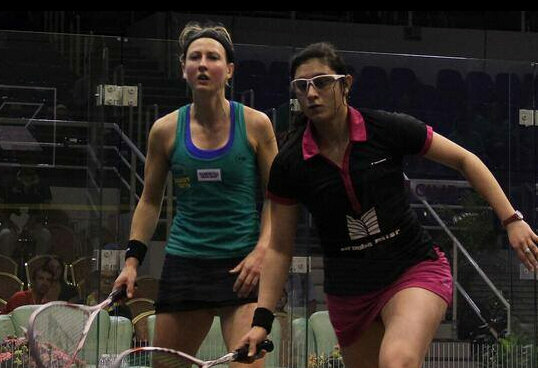 Two - possibly harsh - no lets for Sherbini and it was match ball - “championship ball” said the referee. 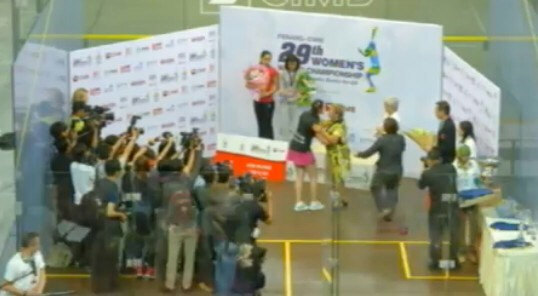 Sherbini saved one with a drive that died in the deep, but couldn’t save the second, and Massaro was the new world champion. “It’s just so close isn’t it? "But I was just too nervous. I was thinking a lot before the match and I just didn’t have that focus." “For me and Nick to both be World Champions at the same time is great. I’m so proud of what he’s achieved as well. He’s someone I really look up to so to emulate what he’s done by becoming world champion is very special. 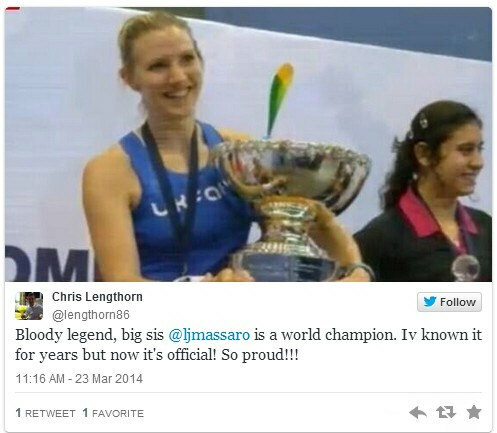 Little Brother Chris is proud! 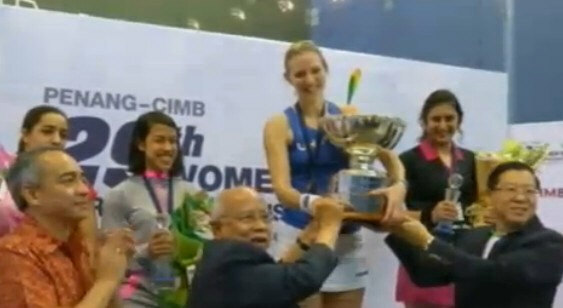 In possibly the biggest women's worlds shock ever, unseeded Nour El Sherbini - the current world junior champion - beat seven-time defending champion Nicol David in her own back yard in a five -game thriller to stun the 3,000 strong crown in Penang. David started off well enough, taking the first game 11/4, but the young Egyptian struck back, edging a point-for-point second game 11-9 and dominating the third 11-6 to take the lead. David stormed back 11/2 to force a decider, which was level to 5-all, but Sherbini moved ahead 9-6 then 10-8, tinned a dropshot on her first match ball then put in another which David reached but couldn't clear, and the referee said "stroke to Sherbini" to end David's home dream, and her five-year reign reign as World Champion. 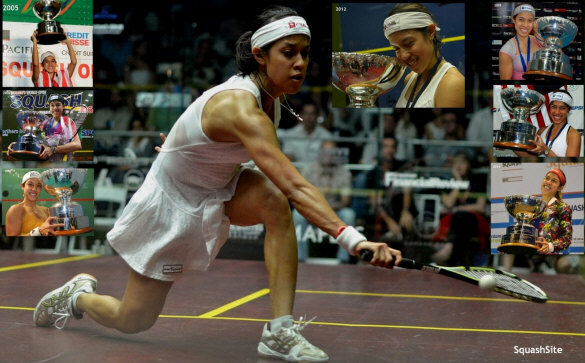 match,” said a jubilant Sherbini. “I always lose to Nicol 3-0 and it was never easy getting points off her. But I thought since I had nothing to lose, I just went out to enjoy my game. "I don't go into any match with a plan, I just try to win without thinking about it. 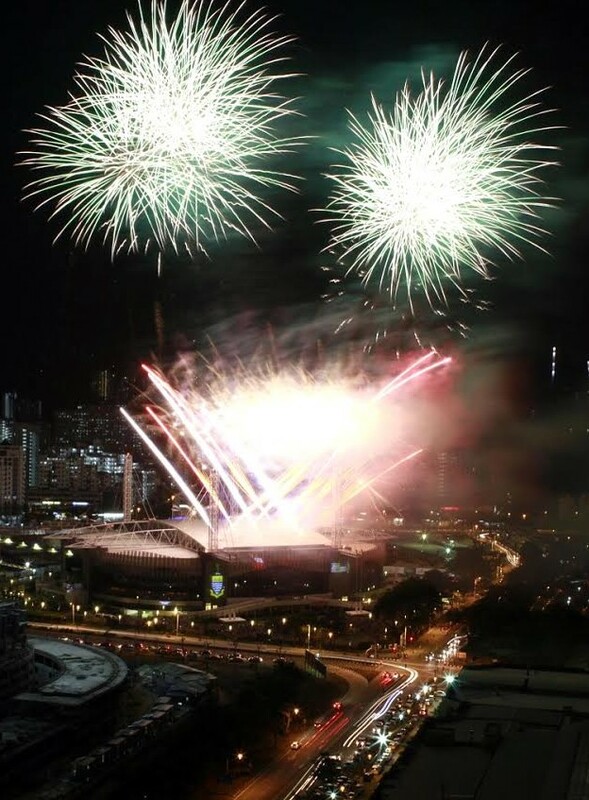 so hopefully I can go into tomorrow's final and do the same!" The match of her life ? 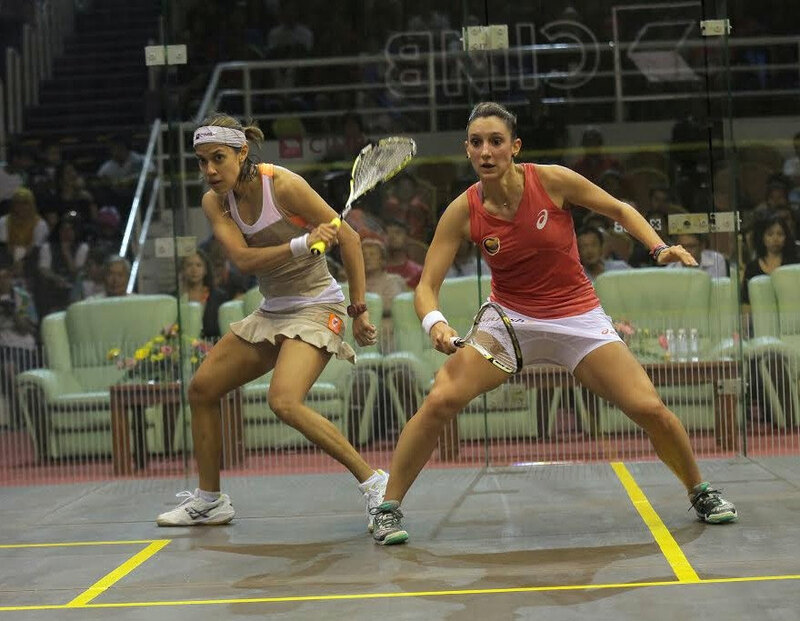 It was a repeat of their 2012 semi-final in Cayman, and it was the same winner as Laura Massaro reached her second World final in a row. The second seed was 4-9 down in the first but scored seven points in a row to take the lead, and always had a cushion in the second as she doubled her advantage. 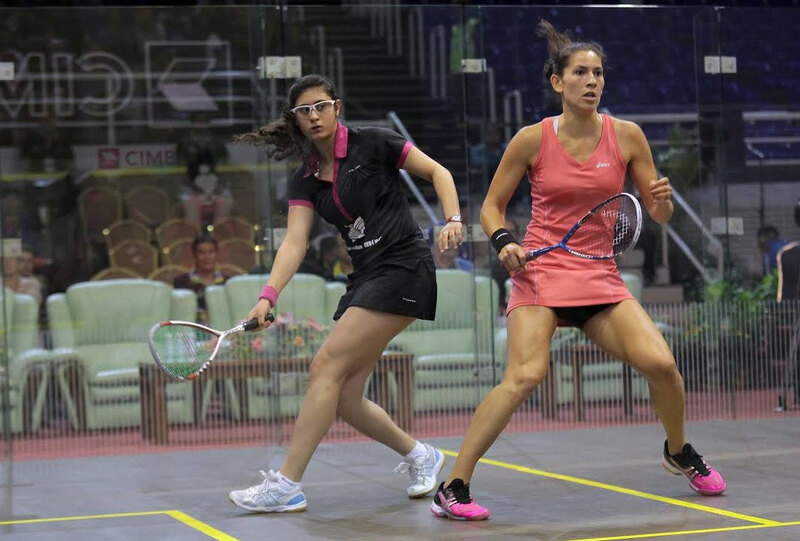 From 0-3 in the third it was Raneem El Welily's turn to put a run together, eight in a row as she pulled a game back, but Massaro was back on the top in the fourth and finished it off on her third match ball. "I haven't had a chance to see much of Penang yet," admitted Laura, "last time in Cayman Danny came back with a lovely suntan while I was pasty white, and it looks like it will be the same this time!" Massaro added on Twitter: Seriously.... World open final???? Cannot believe that after yesterday's battle. One more to go now! 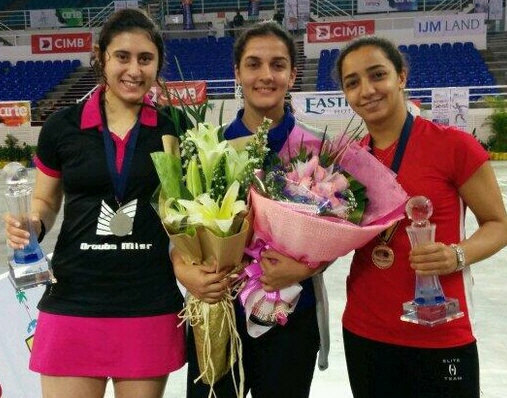 Quarter-finals day in Penang started off with a big upset as Egyptian teenager Nour El Sherbini - the reigning world junior champion - beat fifth-seeded Kiwi Joelle King in a tough four games. "It’s amazing to be winning every match and I certainly did not expect a result like this," said a jubilant Sherbini, who has now beaten the 12th, 4th ad 5th seeds. 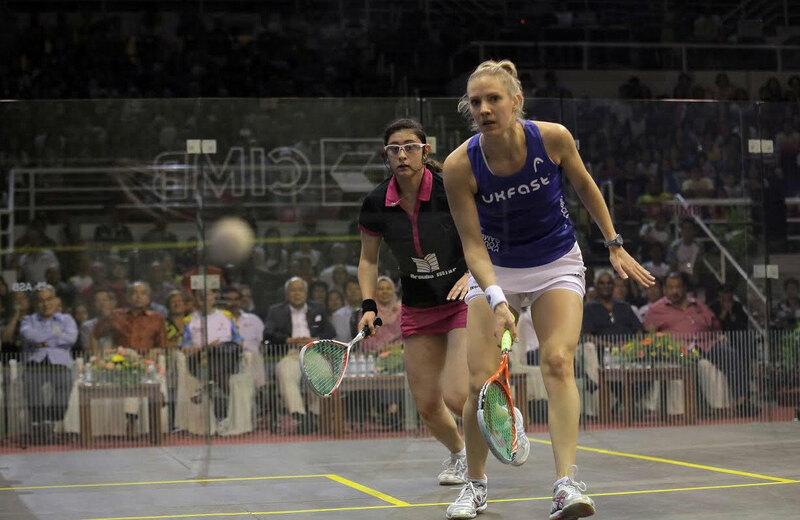 Another upset was on the cards as Madeline Perry had three game balls for a 2-0 lead against Raneem El Weleily, but the Egyptian third seed levelled, and then after the third and fourth games were shared always has a cushion in the decider. “I was literally on the edge of my feet the whole game," said a relieved Raneem, "Madeline played really well today. 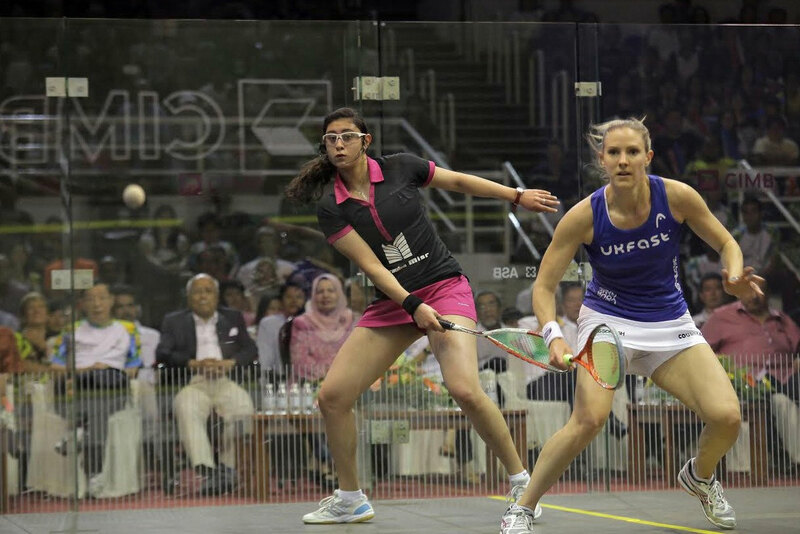 “It’s really great for Egypt to have El Sherbini in the semis too." 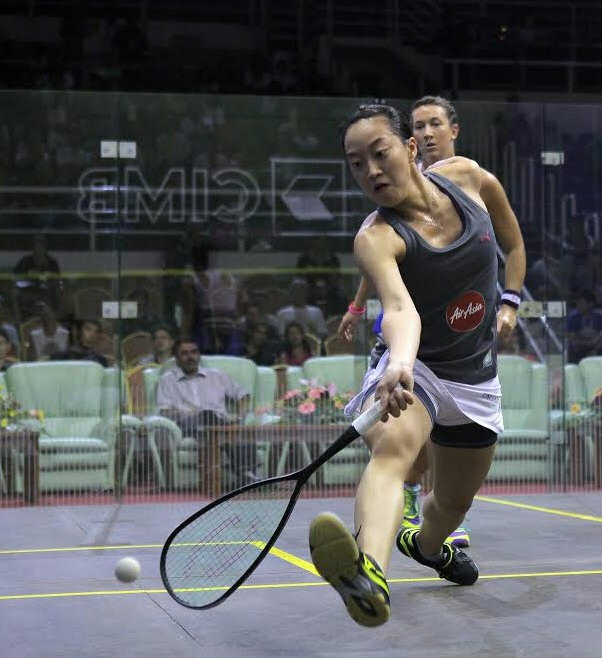 The crowd then had two home players to support, first up was Low Wee Wern against second seed Laura Massaro, and at 2-1 and 10-7 to the Malaysia they were ready to erupt. But Massaro saved four match balls to force a decider, in which she always held the upper hand. 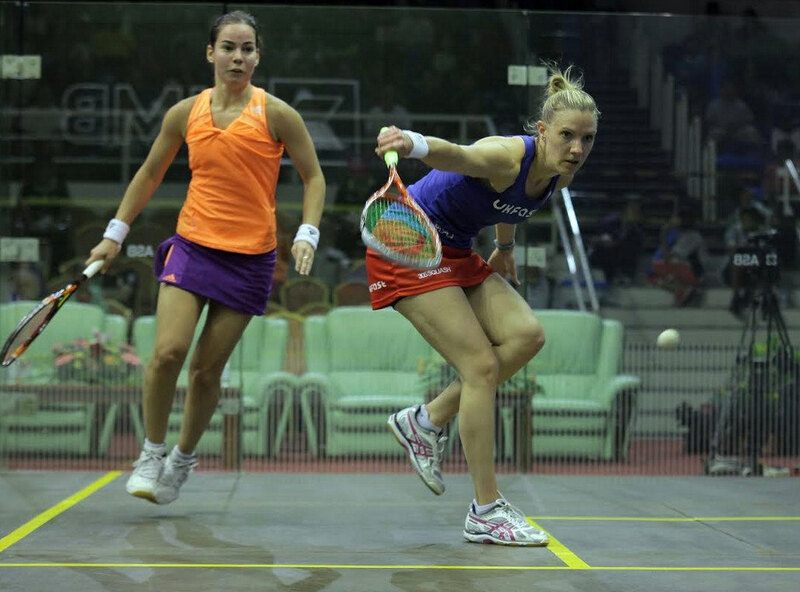 "I'm really proud of that match tonight, I gave it everything," said Massaro. The final match was Nicol David against Camille Serme, with the 7-time champion - and the packed crowed - looking to make it 13 wins in a row against the Frenchwoman. She did, but it was their closest match yet as Serme took the lead, David dominated the next two but Serme levelled, and a relieved crowd saw David pull clear from the middle of the decider. "She’s a tough competitor and just doesn’t stop," said David. "The crowd really kept me going, I was happy to just stay in there, worked hard, and happy to get through in five in the end!" 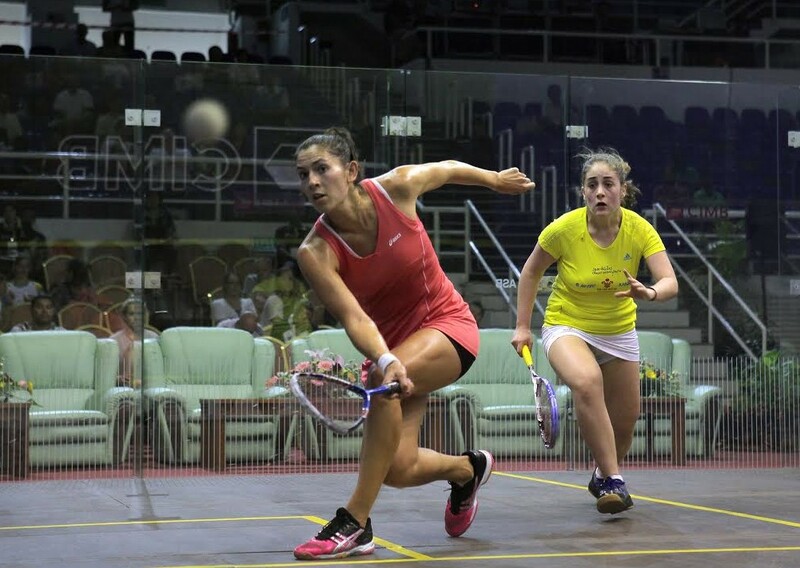 * Waters: "pressure's on Nicol"
The last 16 started at the Spice Arena with a big upset as unseeded Egyptian Nour El Sherbini beat fourth seed Alison Waters to reach the quarters for the first time. “I’m very happy because this is the first time that I have beaten Alison, and this is also the first time that I have progressed to the quarter-finals of the worlds,” said Sherbini. 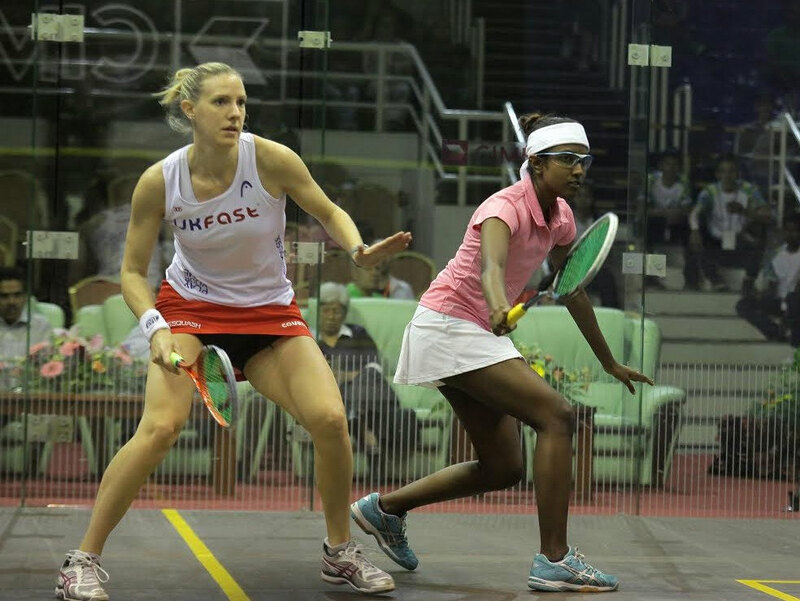 Thereafter the remaining seeds all came through, although Madeline Perry had to fight back from 0-2 down to beat Sarah-Jane, while second seed Laura Massaro beat fellow-Englishwoman Jenny Duncalf in straight games, and the day finished off with two popular home wins for Low Wee Wern and Nicol David. 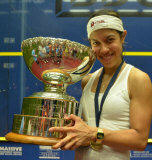 "Heba [El Torky] was probably nervous, but she came back pretty strong, said Nicol. "Still I'm glad I managed to keep it pretty tight." The second day's play at the Spice Arena saw eight bottom-half round one matches, and one upset as Canadian Qualifier Sam Cornett beat 16th seed Line Hansen in straight games. "The feeling is great...just great. I don’t know what else to say. 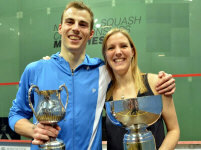 I almost cried to be honest,” said Cornett who will face Low Wee Wern next. “I’ve never really thought about making the top 16 and I didn’t have the best results prior either. 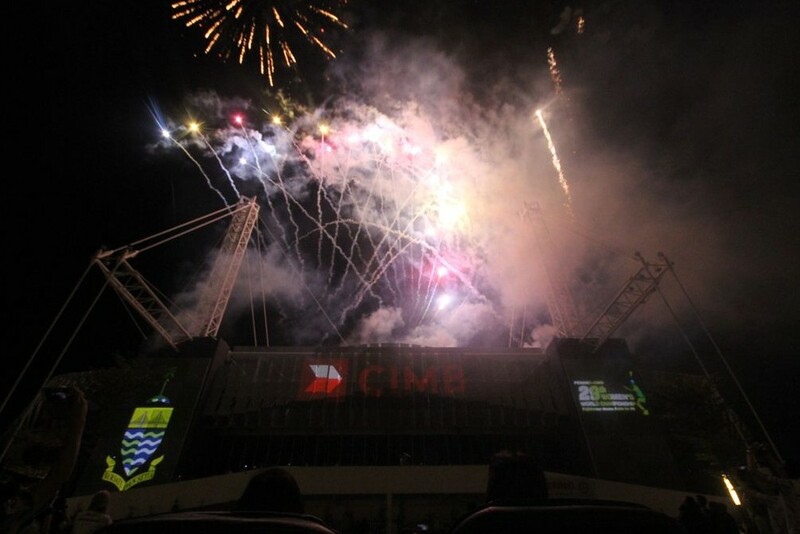 I know I felt confident and comfortable as the match went on. But I’ll probably have to change my flight now because I’m supposed to fly home on Friday,” added Cornett. 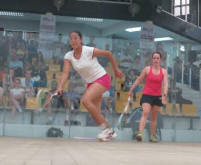 Qualifying complete, it was on to the main draw - top half - on the glass court at the Spice Arena. 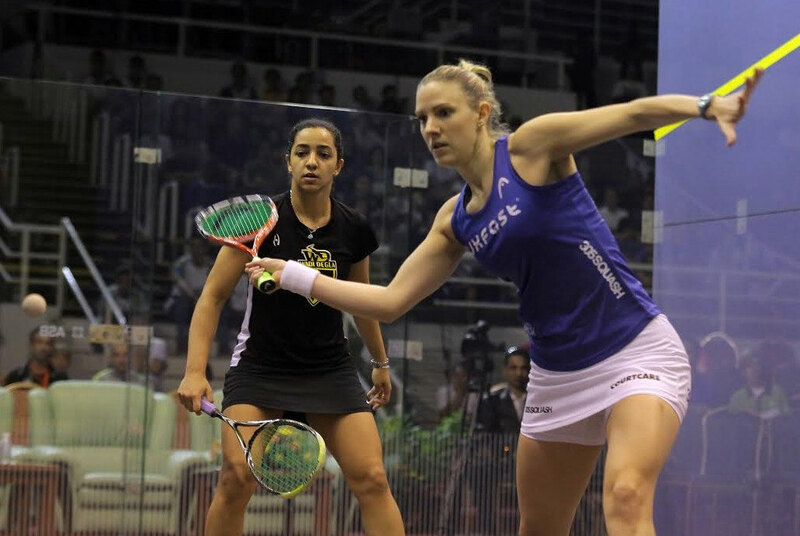 Fourth seed Alison Waters got the ball rolling with a 3-1 win over Joshana Chinappa, Nour El Sherbini came from a game down to beat 12th seed Kasey Brown. 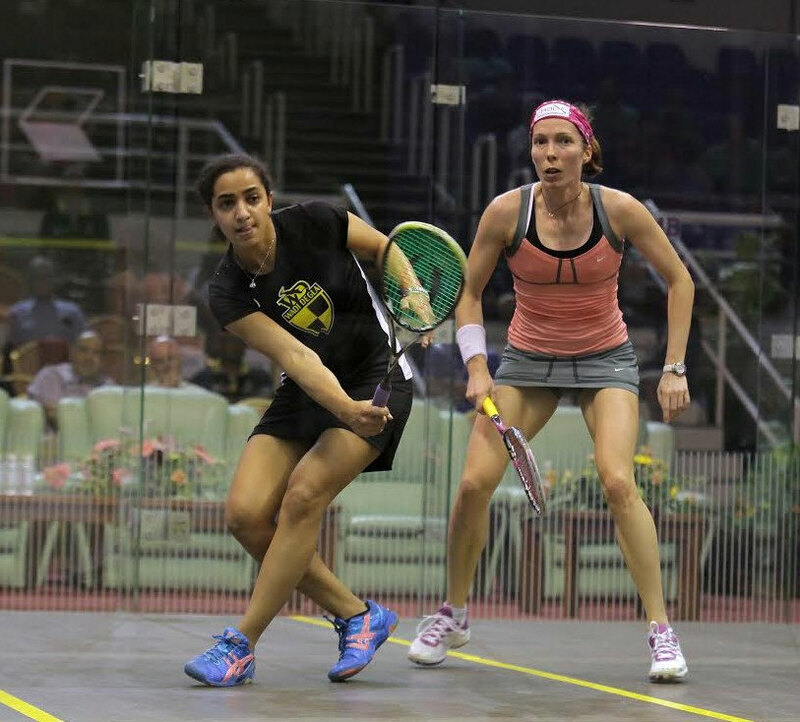 A further upset shock came when Guyana's Nicolette Fernandes came from 0-2 down to beat 2007 champion Rachael Grinham, the 14th seed, but a bigger shock came as Egyptian qualifier Heba El Torky beat 11th seed Annie Au in four games. “The key to winning was really me telling myself to be a lion on the court,” said Fernandes. “I was too passive at the start and I know I needed to get on it more and be an animal, growl more in order to win!" “I’ve never gotten through to the main draw of the worlds in the past," said Heba, "and now to be in the top 16 is really unbelievable. It’s definitely my best performance so far. 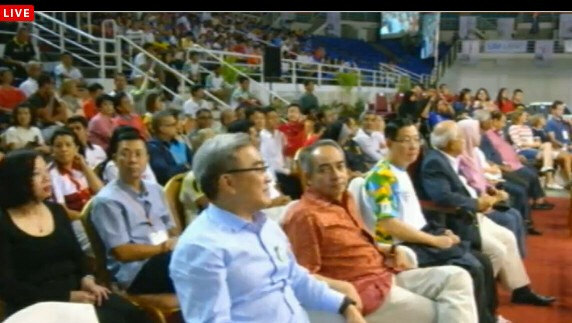 After the opening ceremony tonight the top half of the draw was completed as Penang's own Nicol David beat Emma Beddoes in front of a huge crowd. 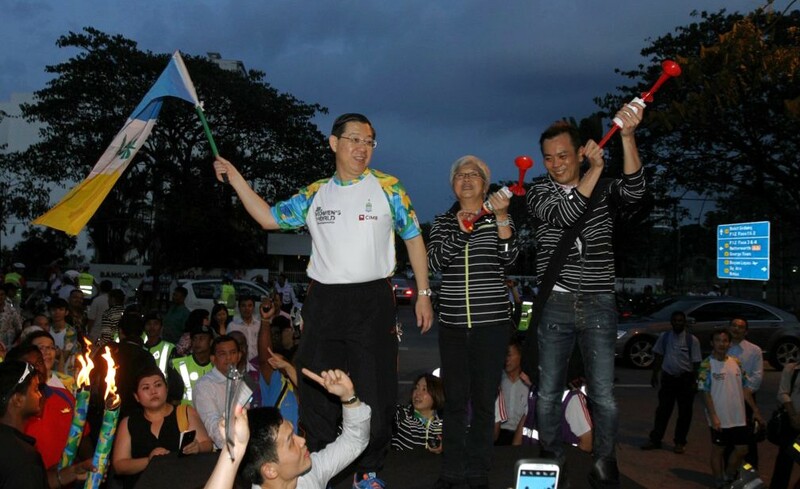 the crowd that I managed to pull through,” said Nicol. 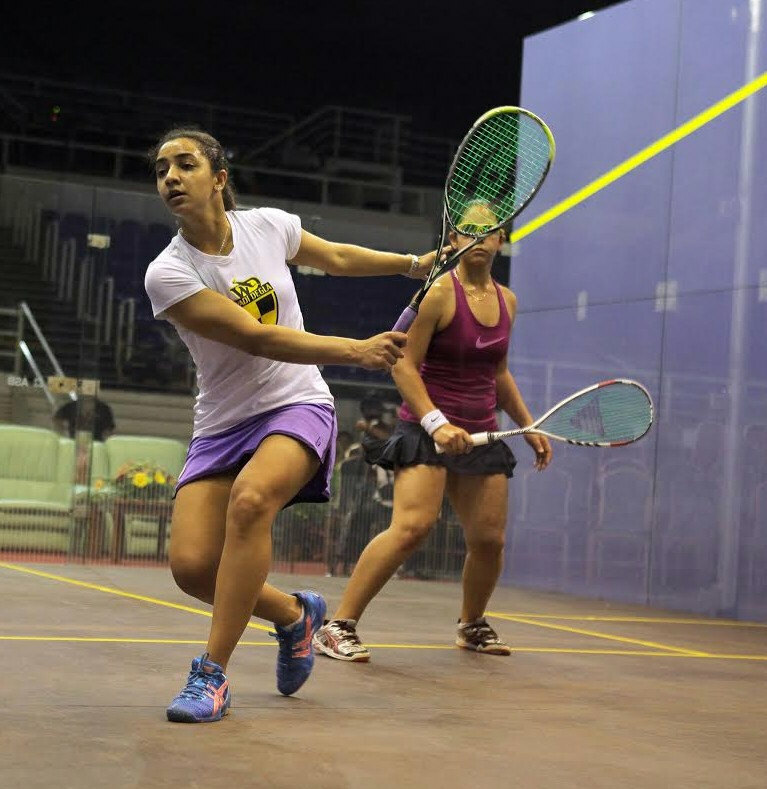 Qualifying for the women's worlds in Penang is complete, with Egyptians claiming half of the available spots in the main draw through Heba El Torky, Habiba Mohamed, Salma Hany and Nour El Tayeb. Mohamed, just 14, followed up yesterday's shock win over local favourite Delia Arnold by beating Milou vd Heijden (Habiba the Youngest), while fellow teenager Hany also upset the seedings by beating Misaki Kobayashi. Yesterday's giantkiller Eun Ahn Chan was beaten by New Zealand's Megan Craig, while Lisa Aitken, Tesni Evans and Sam Cornett took the other spots. The second round of qualifying saw 16 players through to tomorrow's qualifying finals, but it was a bad day for Malaysia as all nine home players were beaten. The big winner was Korea's 28-year-old Eun Ahn Chan who beat top-seeded Emily Whitlock - the world #25 - in four games, while at the other end of the age spectrum 14-year-old Habiba Mohamed got the better of Delia Arnold. 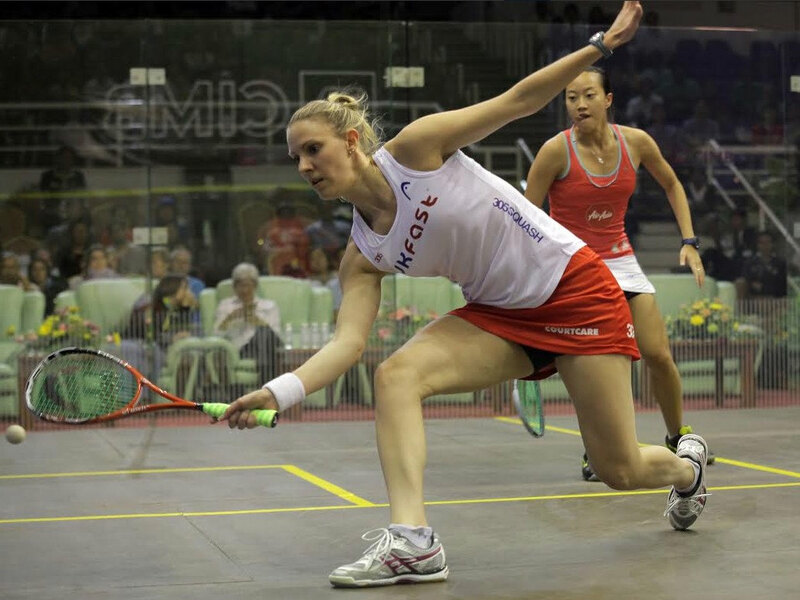 The delayed 2013 Women's World Champs kicked off today at the Nicol David Squash Centre in Penang with a dozen first round qualifying matches, in which eight Malaysians won through to tomorrow's second round. Today's winners all meet seeded players as the 32 remaining qualifiers battle it out for the eight available main draw spots. David set for 8th World Title at home ? 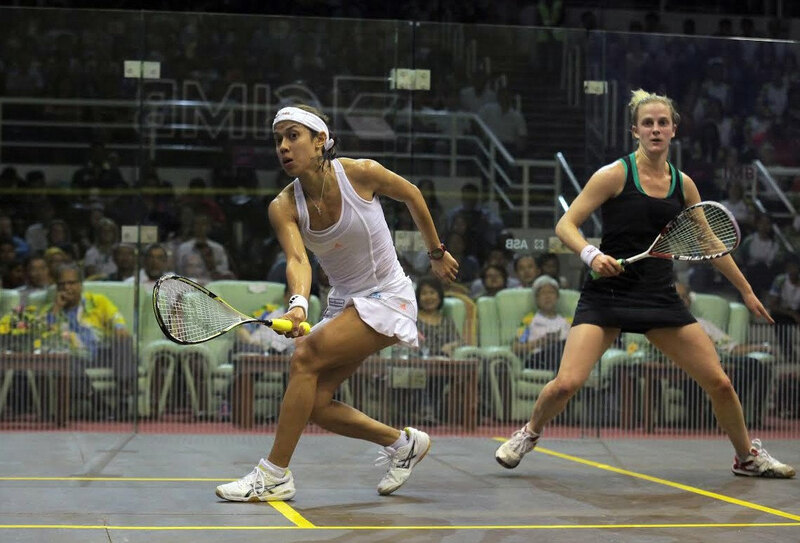 one Nicol David is set to begin her bid for a record eighth title in the Penang Women's World Squash Championship when she faces England's Emma Beddoes in the first round of the premier WSA event which is being staged in Penang, Malaysia, from 15-23 March. Boasting a $120,000 prize-fund, the joint WSA and World WSF championship opens at the Nicol David International Squash Centre before moving onto an all-glass showcourt at the 10,000-seater Penang International Sports Arena. 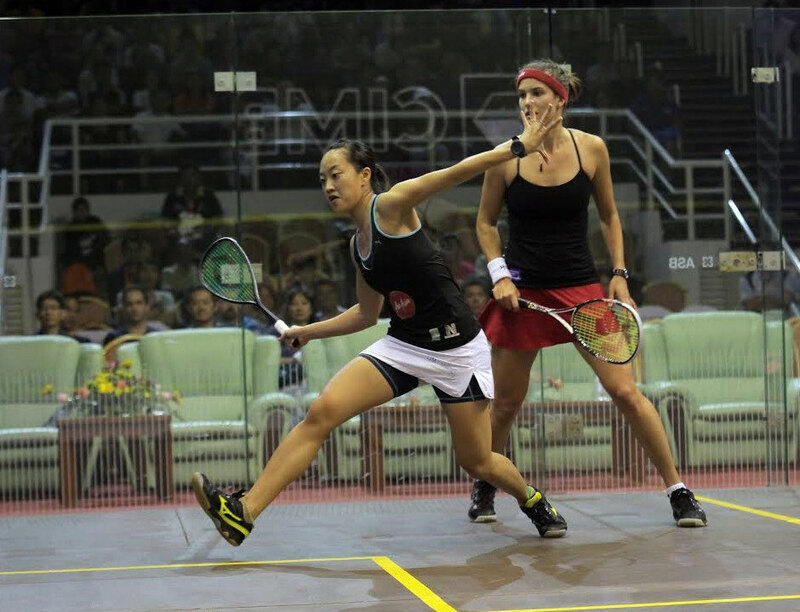 Success in the event will fulfil a lifelong dream for the Malaysian squash queen to win a senior world title in front of a home crowd in Penang. 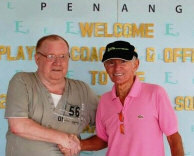 The draw in Penang lined home favourite David up against world No23 Beddoes for their first meeting for more than three years. A likely second round meeting with Asian rival Annie Au, the No11 seed from Hong Kong, could lead to the predicted quarter-final clash with eighth seed Camille Serme, the world No8 from France whom David has faced five times in the past seven months! 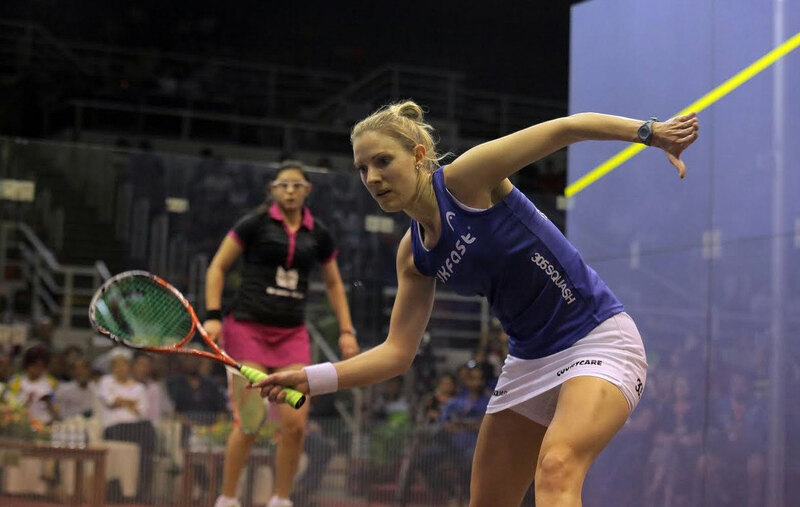 David is drawn in the same half as England's world No4 Alison Waters - and is expected to face world No2 Laura Massaro, also from England, in a repeat of the 2012 final. 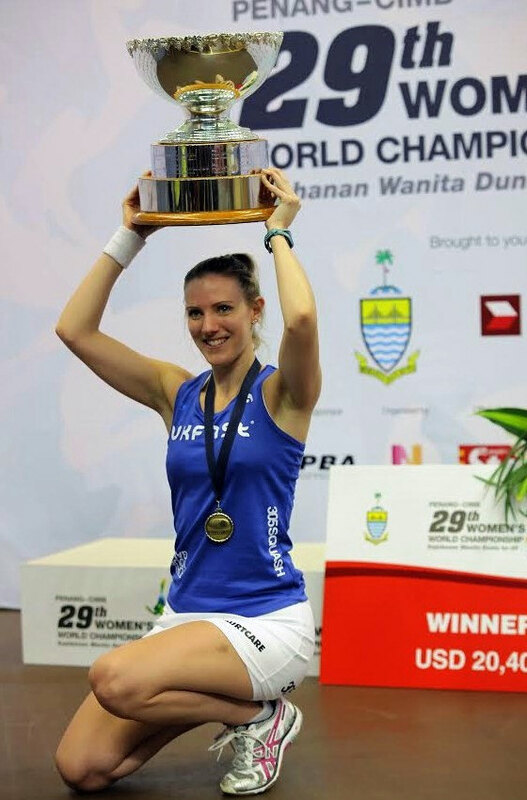 David will be supported in the event by fellow Penangite Low Wee Wern, the sixth seed who begins her campaign against Australia's Donna Urquhart. Tour veteran Rachael Grinham will be making a notable milestone in Penang after making her World Open debut 20 years ago in the 1994 championship in Guernsey. The 37-year-old 14th seed and former world number one from Australia - winner of the title in 2007 - takes on Guyana's world No19 Nicolette Fernandes in the first round.